Knowledge : Heko-Obi - KIDORAKU Japan - What a Kimonoful World! Heko-Obi is a daily Obi. and often have Shibori (tie-dyed) works. 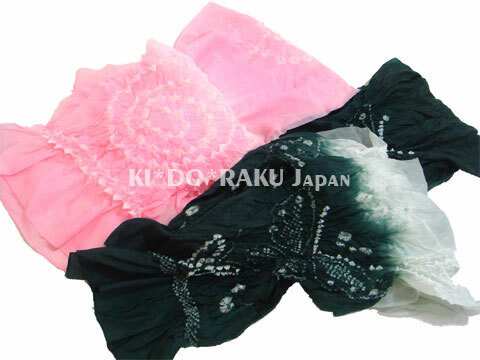 It's worn by men, women and kids with a casual Kimono like Yukata. It's around 50cm or 74cm in width, and 350-400cm in length. Recently, there are various width, length and material. At first, it was only for men and kids. But now, women also are wearing Heko-Obi with Yukata. Heko-Obi for kids is called "Kingyo-Obi". "Kingyo" means "goldfish". It's fluttering and looks like goldfish.